Kirton Town will face Skegness Town Reserves in the final of the BB Insure Willoughby Cup. The Graves Park side beat Benington on penalties after the game finished 3-3 after extra time on Saturday. The only game in the Premier Division was between Pointon and Skegness Town Reserves, the seasiders coming out on top 3-2. Division One champions Fishtoft were beaten 3-2 at Fosdyke, Ash Davis, Lee Jackson and Adam Chrich winning it for the hosts. Friskney kept up their promotion challenge with a 3-1 win against Boston College, Mathew Jamieson, Greg Brown and a own goal giving them the points. Old Doningtonians beat Park United 2-1, Alex Limb scoring the consolation for Park. 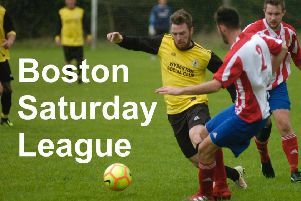 Billinghay Athletic beat Freiston 2-0 to secure their Division One status. Railway Athletic Reserves beat JFC Boston Seniors 4-2 to take runners-up spot in Division Two, their goals coming from Lucas Dakin (two), James Munn and Tom Anderson. Skegness Town A finished the season with a 7-1 victory at home to Caythorpe. Josh Whittam hit a fine hat-track, with other goals coming from Dom Murray, Dan Starkey, Ellis Taylor and Matthew Tutty. In the BB Insure Willoughby Shield semi-final, Pointon Reserves beat Fosdyke Reserves in an eight-goal thriller, winning the game 5-3.